March 15, 2018 / Montpelier, Vt. – In conjunction with National Distracted Driving Awareness Month, the Vermont Highway Safety Alliance (VHSA) is excited to announce the #802phonesdown!headsup! video public service announcement contest. The contest is open to high school students and is designed to encourage young drivers, friends, and peers to avoid distracted driving. The first-place winner will be awarded $750; second place $500; and third place $250. Every distracted driving death is preventable. Taking your eye off the road for even a few seconds is all it takes to change a life forever. Still, people text and drive on Vermont roads every day. The goal for entrants is to research this important issue and produce a compelling 25 second video that can enact change and spread the message that distracted driving is unacceptable. 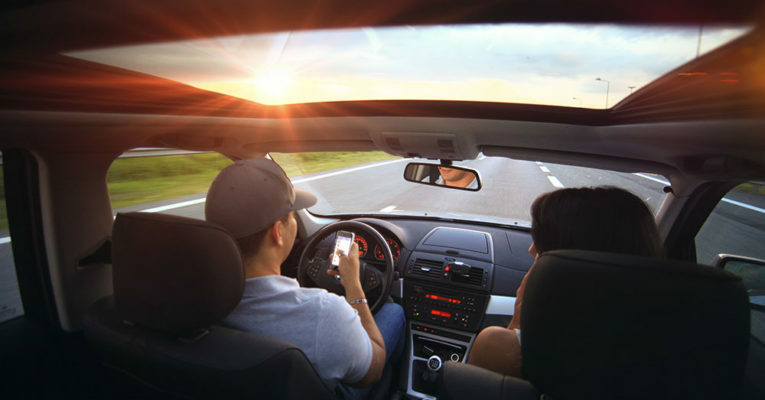 The VHSA hopes that videos produced by high school students will offer a relatable perspective for other young drivers. Phase One: March 9th to April 13th. Research and production of the video. Up to eight (8) finalists will be selected from these entries. Phase Two: April 20th to April 30th. Finalists will be asked to promote their video on social media outlets and submit their metrics. Winners will be judged on both the quality of the video and the number of people reached organically using social media. The winning videos will be announced in late spring and distributed on social media sites by the VHSA and safety partners. Details of an award ceremony will be announced at a later date. The contest is sponsored by: The VHSA, AAA of Northern New England, The Vermont Insurance Agents Association, The World, Consultant on Police Services, Vermont Automotive Distributors Association, Midstate Dodge, and the Central Vermont Rotary Club. For more information, visit www.eventbrite.com/e/802phonedownheadsup-psa-video-contest-registration-43940762002.